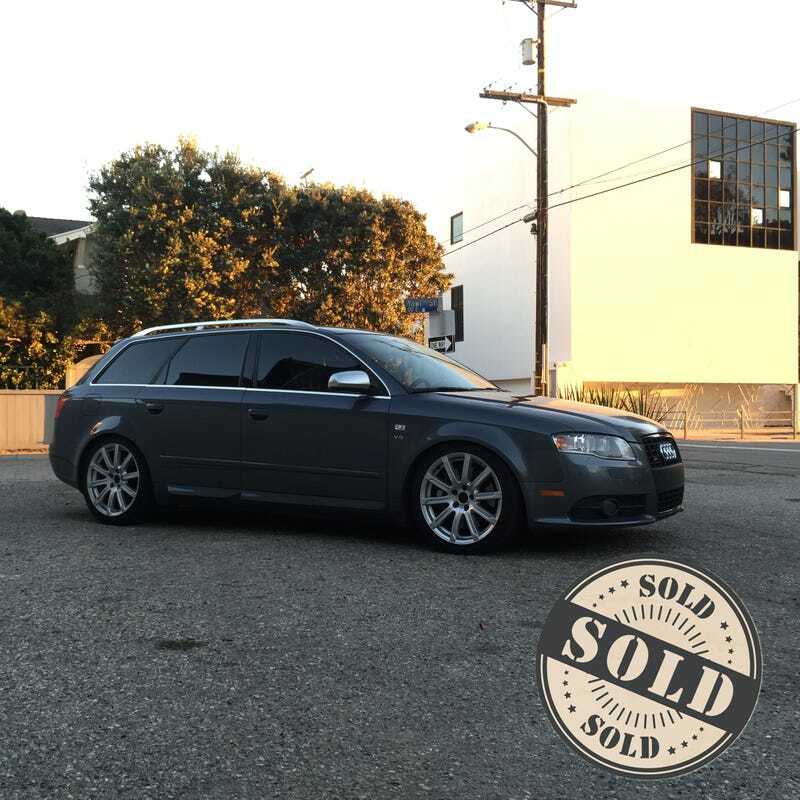 Oh Boy, I've Sold My S4 Avant. Yep, that’s right I did it, I’ve successfully sold a car for the first time in my life. My past vehicles have been traded in or passed on to family members but when I bought the S4 Avant last March the plan was to turn around and sell it for a profit, no matter how marginal. Despite DeMuro’s best attempts to destroy my plan with his nonsense articles about how these cars are ticking time bombs, I managed to do just that and now I’m in a beautiful state of automotive limbo. Will I get another bargain on a future and have another adventure in the world of car flipping? Perhaps, there are number of vehicles that fit the bill and many of them would make superb daily drivers here in Los Angeles. E34 M5, E36 M3, 911SC Targa, UrS4, the list just goes on and on and on. There is a big part of me that wants to make Tavarish proud and maybe even a little jealous. However I could also go the McParland route and get something new with one of those warranty thingys. I’ve got above average credit, I know some folks at both Audi and BMW dealerships who be able to take very, very good care me should I want to go that route. Of course the downside to this is being locked into something for a couple years and like most men of my age, I’m terrified of commitment. I would change cars seasonally if I could afford to and the new vehicles that would truly satisfy me are well above my price range. In the coming weeks I’ll post a piece about my year with the S4, the ins and outs of Audi ownership and why I feel that ultimately the stress of owning such a vehicle was well worth it. I won’t be sharing how much of a profit because honestly I think that’s a bit tacky but I will say that it was less than I had hoped but more than what I realistically expected. Finally, if anyone has owned one of the following vehicles and would like to share their experience with it, please leave your thoughts below.